Easy & effective method to change font iPhone 5S font. Process is also valid for iPhone 5C as well using BytaFont from Cydia. Potential iPhone users are often interested in customizing preferences, apps and font changing options because Apple hardly provides any flexibility to them to pursue their inherent desires. If you are also willing to switch your investment to some sort of Android phones and smartphone, you should wait for a moment and read out this tutorial about changing fonts in iPhone which is easily available with Android phones. You will find here an easy and convenient way to change the customary and traditional fonts of iPhone for which demands are constantly on the rise. 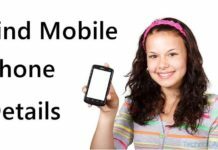 This method will also work with the previous and older versions of iPhone so that you can easily achieve your goals like in Android smartphones. Due to lack of customization features, iPhone users have been largely seen to change their phones or opt for the best jailbreaking options available online. iOS users will have to use whatever is provided by the company and the running operating system without any kind of intrusion. There are millions of iPhone users in this world that would like to have some minimal changes in the screen outlook and text presentation but Apple does not provide any facility of customizing the font shape, type and size at any cost. 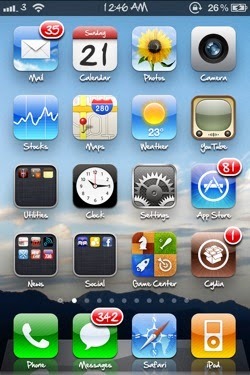 Of course, iPhone 5 users can never think of such customization because the company does not allow foreseeing or implementing any font customization techniques or apps on the running iOS. Notepad may be used to change the font size but very few apps are available to execute your plan. Of course, you are here to learn something about font changing in iPhone and I am disappointing you with above mentioned bitter facts. An easy method to change fonts in iPhone is discussed below which, I think is the only method to serve your intended purposes. First of all, the user is required to jailbreak any model of iPhone after which this method will work. Jailbreaking any version of iPhone will make the warranty conditions void thus; you wouldn’t be able to receive any services or warranty benefits from the company. It is one of the major disadvantages of jailbreaking which you will have to live with. 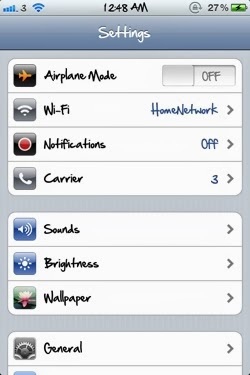 After iPhone is jailbroken, install tweak BytaFont from Cydia store which will allow you to change fonts in easy manner. Just run the downloaded app and choose your favorite font type from the available list and let the iPhone get rebooted after applying the font. You will find everything in your favorite font style once the device is rebooted and that’s it!